We, as Indonesian people, know the 1st October as the Sanctity Day of Pancasila. Why is it? What’s the meaning of it? You might know the meaning, but some of you might still not know the history or the reason of what happened at this day. It’s kind of sad to know the truth that there are still many people, especially our young generations, who still not know and even bother to think the importance of this day. The existence of Pancasila Sanctity Day has sacrificed their lives who were struggling to defend Pancasila: Ahmad Yani, DI Panjaitan, MT Haryono, Soeprapto, S. Parman and Sutoyo Siswomiharjo who were then also called as the hero of reformation. They’re kidnaped and tortured and killed by Indonesian Communist Party (Partai Komunis Indonesia) or what we know as PKI who against Pancasila’s. PKI didn’t agree the ideology of Pancasila become our country’s, along with all the values in Pancasila, and they wanted Indonesia to be a Communist country, which is totally NOT the style of Indonesia. This is what PKI couldn’t realize: that even before the name “Pancasila” were created by Soekarno, Indonesia, along with its people, and its culture, already have the values of Pancasila in them. 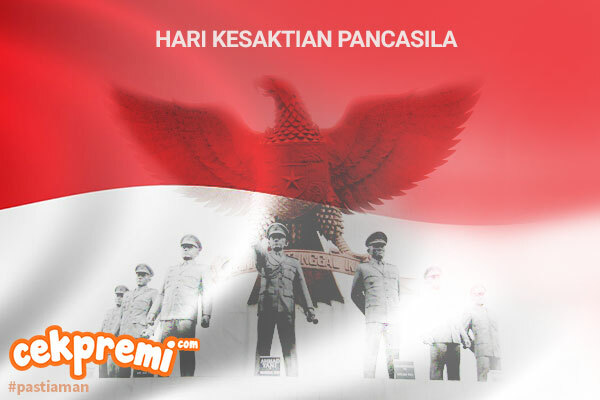 The name and symbol of Pancasila, is just to describe the values which Indonesia -already- had. So there is no way Indonesia using another ideology, especially Communism. The rebels of Communist (PKI) then made one of the big and saddest histories in Indonesia: G30 SPKI (Gerakan 30 September PKI) where seven people (the hero of reformation) were killed. Their dead bodies were then brought to Lubang Buaya which is now become a museum (Museum Lubang Buaya) to respect and as a remembrance. You can visit and see this history and memorial place which located at Pondok Gede. Then, why do we called the 1st October as Pancasila Sanctity Day? Because Communist (PKI) still can’t win over Pancasila, even, after a big rebellion like that (the day before or G30 SPKI). So, this is a proof of Pancasila’s sanctity, that Pancasila was (and always) meant to be the ideology of Indonesia’s. And, this is why we must respect and not ignore this day. Let’s take a moment to remember this day. Not only respect, but also acts like one: Indonesian who has the values of Pancasila. The 1st October is not the day when Pancasila was born (it’s at 1 June), but 1 October is the day when Pancasila proof its greatness and its sanctity.